The rice agriculture and conservation communities have a mutually beneficial and long-lasting relationship with shared interests in habitat management for wetland-dependent birds, sustainable rice production and conservation of natural resources such as soil and water. In 2013, the USA Rice Federation and Ducks Unlimited came together to form the USA Rice-DU Stewardship Partnership. The Partnership works to bring about meaningful and long-term improvements to three of the nation's critical natural and economic resources: waterfowl, working rice lands and water. To achieve these objectives, we identify and pursue public policies, funding sources, communications strategies and strategically developed research and management practices that advance our mutual interests. The Partnership serves as a model of cooperation and communication between a farm group and a conservation organization. Click on links below to download them as PDFs. You will need Adobe Acrobat Reader to view these files. 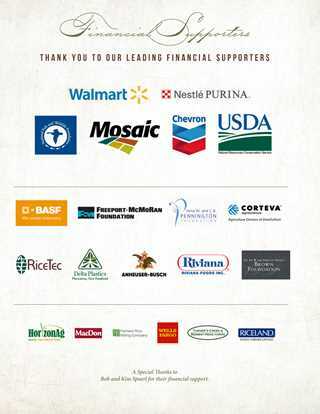 Nestlé Purina recently became a supporter of the USA Rice-Ducks Unlimited Rice Stewardship Partnership, which works to keep working ricelands healthy, preserve wetlands and create habitat for waterfowl and other wildlife. Rice is a critical dietary staple upon which billions depend and is also a key ingredient in Nestlé Purina’s pet food recipes. 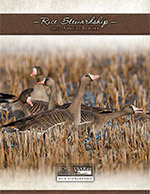 The USDA Natural Resources Conservation Service, the Rice Stewardship Partnership, and all of its supporters, including Nestlé Purina, are working with rice producers across the U.S. to improve water quality and use efficiency, ensure sustainable farming for generations to come, and provide habitat for wetland-dependent wildlife. Click on the sections of the report below to download them as PDFs. You will need Adobe Acrobat Reader to view these files.